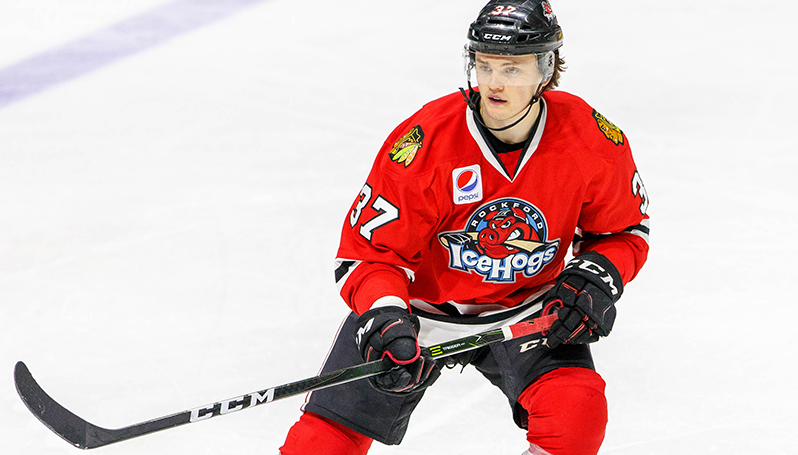 ROCKFORD, Ill. – The Chicago Blackhawks today announced they have reassigned forward Luke Johnson to the American Hockey League’s Rockford IceHogs. Johnson, 24, has spent the majority of the season with Chicago, picking up one assist and 18 shots on goal in 13 games. He made his NHL debut on Oct. 4 at Ottawa and tallied his first NHL point on Oct. 31 at Vancouver. The Grand Forks, North Dakota native returns to Rockford having skated in two AHL contests this year. He posted a multi-point effort with a goal and an assist during his most recent appearance on Oct. 20 at Tucson. Overall, Johnson has combined for 49 points (22g, 27a) in 148 career AHL games with the IceHogs since making his pro debut during the 2016-17 campaign. He garnered honors as Rockford's Rookie of the Year in 2016-17 after pacing all Hogs rookies in points (17), assists (9) and shots on goal (134) that season.